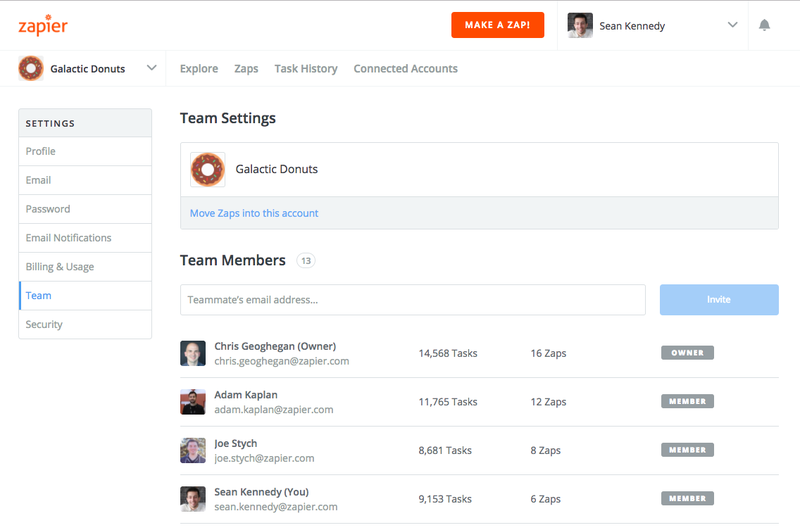 Zapier, the business process-centric services for connecting different applications and automating workflows, today announced the launch of “Zapier for Teams.” This new, $250/month plan complements the company’s existing free and $20/month tiers and adds a number of collaboration features to the service. For businesses, this new plan also means that they can offer access to Zapier to their employees and pay a single bill. Foster also argues that this will improve security, especially given that a company can now easily add and remove user accounts as needed. In the past, with Zapier’s old pricing tiers, employees would often share passwords, which is obviously not an ideal solution. The marquee feature of this new tier, though, is that there is no limit on how many teammates can use a single team account. 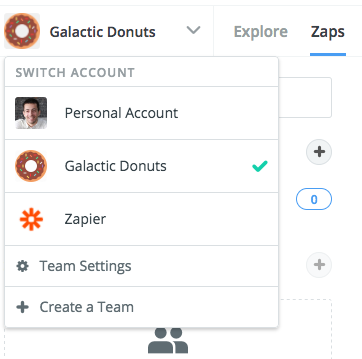 These teams can set up as many integrations (or “zaps,” in Zapier’s parlance) as they want. The plan comes with a maximum of 50,000 tasks per month. For Zapier, every time a piece of data is moved or an action is performed on your behalf, that counts as a “task.” Any additional tasks will be billed according to Zapier’s regular pricing schedule. Why not charge per seat? Foster tells me that the team “wanted people to get as much usage out of it as they wanted” and because of that, a task-based pricing model made more sense in this context. Team members will get access to the service’s premium apps (which includes access to services like Shopify, QuickBooks Online or PayPal), multi-step Zaps for more complex integrations and their tasks will run every 5 minutes. Looking ahead, Foster told me that the team is working on a way to also let users collaborate on building integrations in real time. The team is also looking at adding support for the kind of SAML-based single sign-on solutions that many enterprises use. Currently, the only option for that on Zapier is using a Google account.